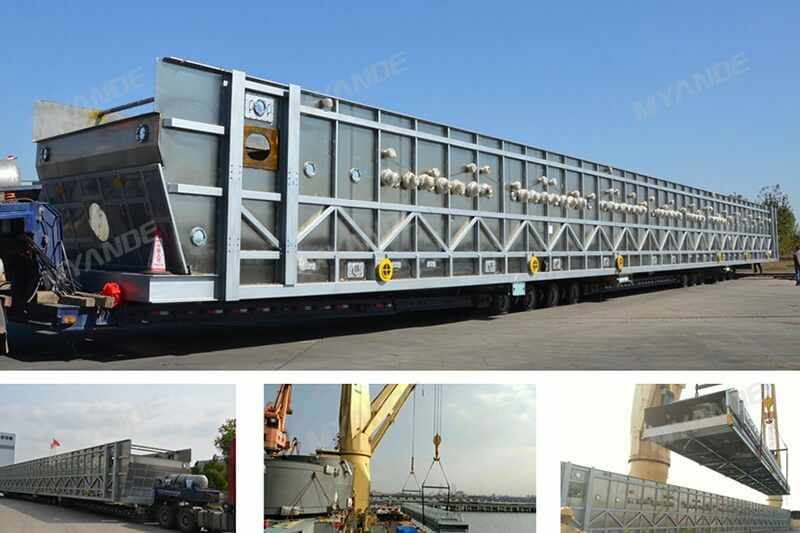 Recently, main equipment for Bangladesh 5,000 TPD oilseed crushing equipment line supplied by Myande were safely loaded on board vessel and soon set sail to Bangladesh. This complete equipment line is so far the largest one in terms of capacity ever exported by any Chinese companies. The importer is a large conglomerate in Bangladesh operating in 30 different industrial sectors with an annual turnover of more than 2 billion US dollars and the group's products are used by one out of every three Bangladeshi households. After spending 2 years maturing this idea of setting up a 5,000 TPD soybean crushing plant, the importer through International Competitive Bidding (ICB) process, entrusted Myande to undertake engineering and supply of the complete equipment line. During the project review, the client's business and technical team examined in details of Myande design, R&D, manufacturing and constructed projects. After a series of rigorous review, the client fully affirmed the cutting-edge technology, intelligent control and advanced manufacturing of Myande. Finally, the client decides to adopt Myande engineering design and complete equipment for oilseed preparation and extraction plant. Myande has been practicing the strategies of "One Belt, One Road" and "Made in China 2025" and has quickened its pace of "Go Global" by establishing sales and service network in Russia and former CSI countries, the Middle East, South America, India, Southeast Asia and Africa, to continue to consolidate the industry leadership position.